Cherie Bosela has always been fascinated by the variety of colors and shapes found in nature. She enjoys capturing these aspects of nature through photography. 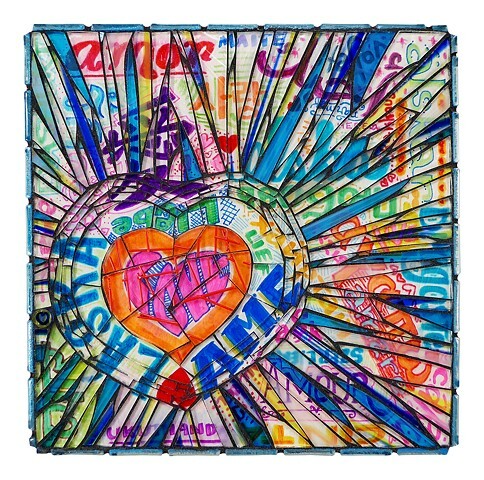 Her artistic vision takes it a step further creating vibrant colorful mosaics using stained glass, beads, millefiori and her original photography under the glass. Her award winning mosaic artwork has been included in exhibits at The Museum of Glass in Tacoma, WA, Mayor’s Gallery in Orlando’s City Hall and Williams Tower Gallery, Houston, TX to name a few. Her work has been published in magazines and books. In April 2016, Cherie quit her full time job to pursue her dream of being a full time artist and opened Luna Mosaic Arts in Orlando, FL.